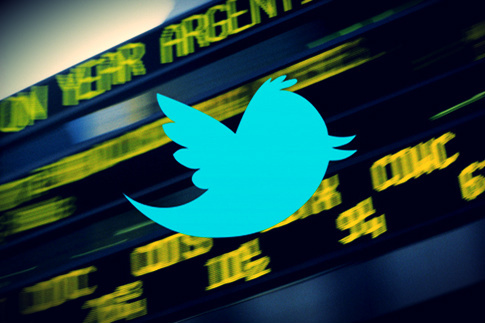 Since Twitter announced their IPO, one of the main topics of discussion has been how well positioned they are to generate substantial revenue from mobile advertising. The relative weakness of Facebook’s mobile ad strategy caused grief for the company and their investors during their IPO and the following months. So, it’s no secret that a mobile monetization via mobile ads will play a big part in Twitter’s future. In this post I’ll talk about ad products on the web and mobile, and try to provide some context in thinking about how effectively Twitter will generate ad revenue from mobile users. When it comes to online ad targeting Google’s intent-based model is a once-in-a-lifetime opportunity. The intent is explicit through a search performed by the user, and then matched with ads that matches the intent. This model provides a a concrete way for advertisers to understand the results they get from their ad spend in the form of clicks and conversions. The keyword-based model also represents the rare perfect storm that creates a once-in-a-lifetime business opportunity, and Google embraced that. Twitter is a place where people primarily browse and consumer content; not search. This is the context that their advertising products have to work in, and be beneficial for both the consumer and advertiser. Reaching consumers when they are browsing is a different challenge then reaching consumers when they are searching. Any advertising solution has to 1) not impact the consumers ability to browse while 2) effectively deliver an advertisers message to a relevant consumer. For all of these formats except #3, advertisers pay per action. This could be a retweet, follow, or other ways that reflects the consumer interacted with the ad. This is good for advertisers, but if Twitter wants to keep the same per-action focus on mobile my guess is this could present challenges. There’s a lot more competition for user attention when they’re on a mobile device. In May Twitter launched Amplify, which sounds pretty cool. An advertiser can see when their commercials are playing, and measure the real-time response to that commercial on Twitter based on the conversation it generated. This could close the loop on results delivered by a Twitter-integrated TV ad. In terms of the mutual interest for advertisers and Twitter in the TV model, here’s one way to think about it – advertisers want to continue their relationships with potential customers they’ve reached on TV. This is not easy today. The viewer sees an ad and then the connection is lost in most cases. But, if a viewer sees a TV add with a Twitter account and then follow that account, that means the relationship between the advertisers and the viewer can continue. This is good for Twitter because they are attracting more users to their service, and good for advertisers because they can capture abandoned leads from TV commercials. Like shopping cart abandonment and re-targeting for TV ads. During the second quarter, Google’s average cost per click, a measure of advertising rates, fell 6 percent. The average smartphone-based search ad costs 40 percent less than a comparable promotion on a desktop computer, according to digital-marketing agency Covario Inc. In contrast, Twitter’s roots are in mobile. Its 140-character limit for posts is based on the restrictions of wireless text messages. When preparing its advertising system, which was started in 2010, Twitter has said it wanted to create something that would benefit from its origins. More prominent display of trending TV shows. More from TechCrunch on this subject. Each of these changes has implication for mobile advertisers, mostly around format options. Richer ads = more engaging ads = higher CPM’s. No one has found the pot of gold at the end of the rainbow yet for mobile ad targeting. Keyword-based advertising in many ways was the launchpad for all online advertising to date. Today there are different players than there are on the web – when Google created AdWords there was the computer, an internet connection, the OS, and a web browser. The payment model was, and still primarily is, cost per click – an advertiser only pays for an action, not an impression. On mobile there’s lots of different variables – the mobile device, mobile OS, apps, wifi connection, carrier data connections, the mobile browser, app stores…not as simple an ecosystem. Most importantly it’s a different consumer mindset, one where the consumer is less invested overall in the mobile experience than they are when captive in front of a desktop computer. Bottom line: All this uncertainty means there is a lot of opportunity, but also a lot of risk, in any company that relies on mobile monetization for their primary revenue stream. Even if a company is getting a large percentage of their revenue from mobile ads, the question to ask is if this revenue is as substantial as what they were on desktop devices.